As the top markets begin to show signs of weakness once again, it seems the alternative markets will follow suit. As of right now, the Bitcoin price barely holds on to its gains, but it would appear that might not be the case for much longer. The EOS price is also going quite strong right now, as it seems to pile up the gains without too many problems. When Ethereum and XRP are starting to dip in the red, one would expect most alternative markets to follow suit pretty quickly. One notable exception in this regard is EOS, as this market seemingly knows nothing about bearish pressure at this time. Instead, it seems to be tricking along rather nicely, as its trading volume continues to provide plenty of support to ensure this market moves along. It is evident this type of momentum is somewhat surprising, although it is still in place as of right now. On social media, there are a lot of people who like to point out the positive aspects of EOS more than anything else. Luke Stokes, for example, sees EOS as a validation of how open source and decentralized development should be done. 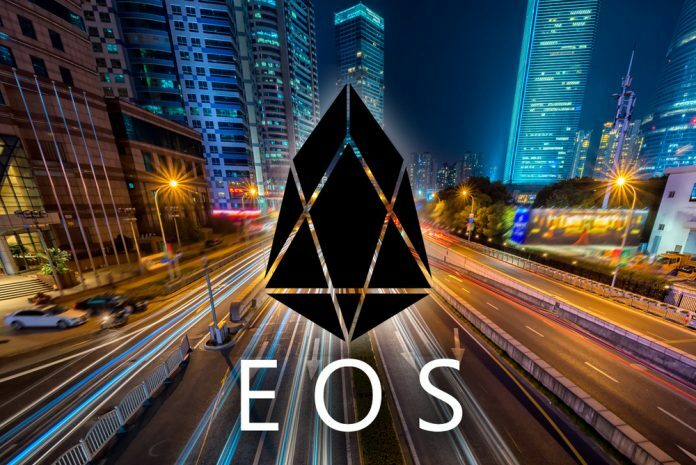 Although most people will readily argue there are other decentralized and autonomous solutions on the market today, it would appear EOS is getting a lot of attention in this regard. When a centrazlied, closed-source project fails (ran out of runway, founder loses interest, team splits up, etc) everyone involved loses. Time and energy gone forever. When pump signal groups start to call for EOS shorting, one knows things will get pretty interesting moving forward. More specifically, the Twitter account below seems to indicate there will be some bearish pressure on EOS, although it seems that momentum hasn’t come into play as of right now. There is always a chance the momentum will turn around in the near future, but for now, it seems unlikely this signal has any real merit to it whatsoever. Surprisingly, it would appear a fair few other users are also convinced EOS/BTC will hit a glass ceiling fairly soon. Klondike expects the bearish divergence, double tap, and RSI factor to come into play later today. However, the market seems to indicate there must be further upward momentum, thus it remains to be seen how things will evolve exactly. As the weekend looms ahead, anything can happen in this volatile industry. All of the signs seem to indicate there will be further upward momentum for EOS, albeit the traders and speculators have an entirely different opinion. Since it remains unclear how controls these markets exactly, the future price momentum can easily swing either way. For EOS, the reliance on Bitcoin has become less apparent, which is usually a very good sign. Considering how Bitcoin looks to turn pretty bearish again fairly soon, most of the market factors seem to work in favor of EOS at this time.